I don’t know how it happened or who is to blame,* but I have fallen down the weird and wonderful rabbit hole that is Korean beauty. I buy sheet masks like it’s my job and think about my skin in an absurdly devoted way. Pros: I am taking better care of my skin than I ever have, and it’s about time, because I’m hurtling toward 30. Cons: I think I may have experimented with too many things all at once, because I was seeing more breakouts at first. So, go slowly, if you decide to venture into the wild, magical wonderland of South Korean skincare. If you have no idea what I am talking about, familiarize yourself with the 10-step Korean skincare routine. Yes. Ten steps! Each one more valuable than the last! It’s a little overwhelming, I know. I’m not doing all 10 steps, but I am taking some principles to heart. Namely: Cleaning my face a lot better and pampering my skin. Here are some of the favorite things I’ve tried in the past four months of adventuring in Korean beauty. Belif foaming cleanser. 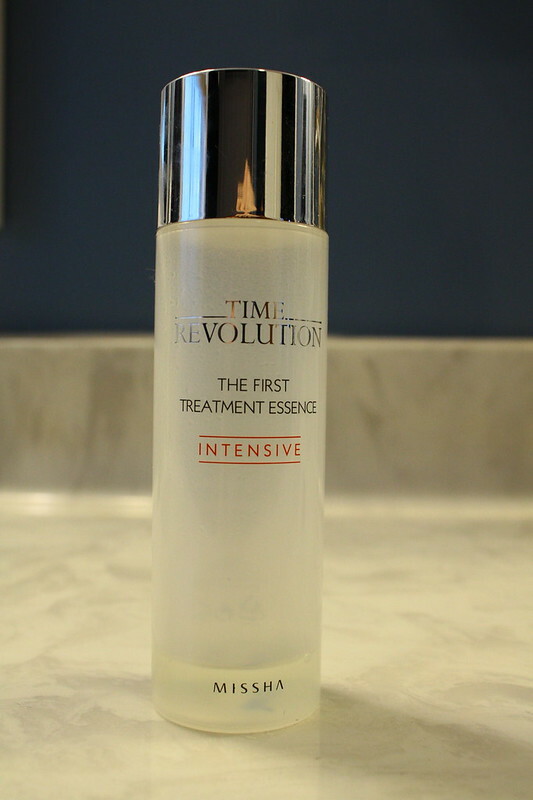 This is the most luxe and moisturizing face cleanser I’ve ever tried (and I’ve tried a lot). Will be buying a full size once my travel size cleanser runs out. 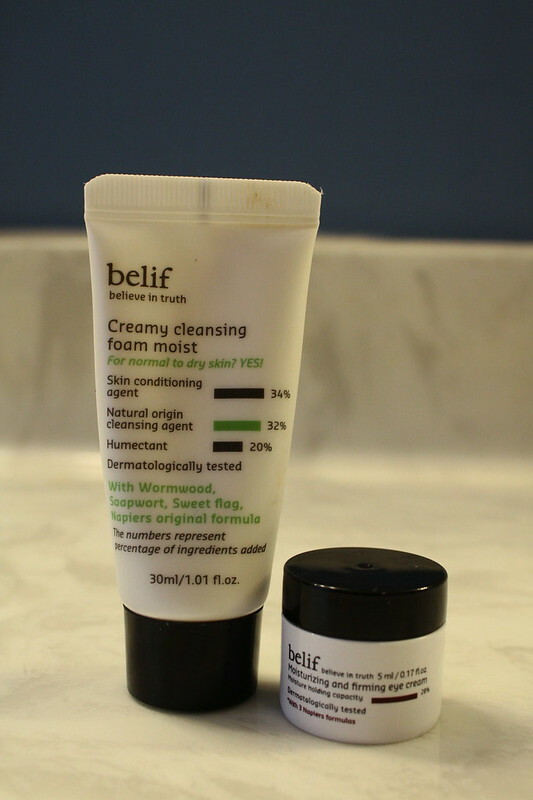 ($26) *Pro tip if you want to try some of these Belif products without shelling out the big bucks: Buy their really generous travel sampler for $20 (limited release). It will last you quite a while, and I think you will love everything in it, as I have. 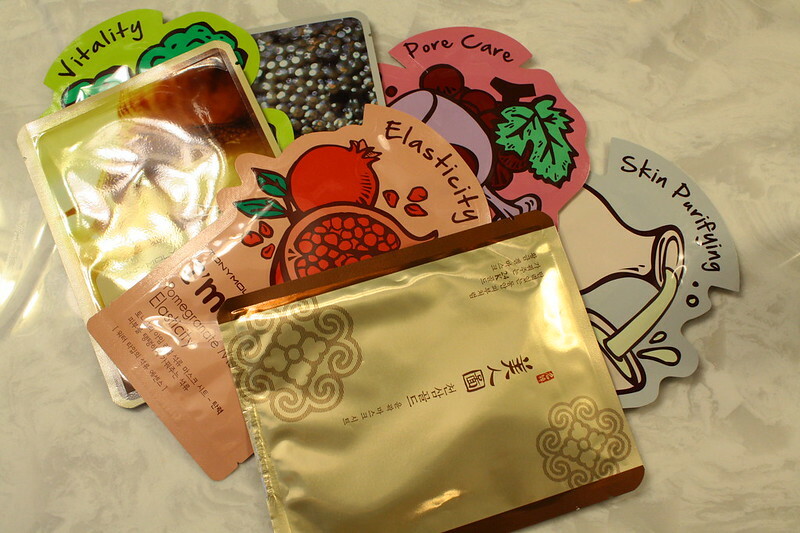 Sheet masks. Of course. The grand foundation of all Korean skincare. I am still getting used to them, to be honest. My face is apparently rather small, and the masks tend to be a little large for my face. And they make me feel weird for the first five minutes (and scare Guion and the dogs), but my pores afterward! The texture of my skin! It cannot be matched. I’ve bought packs of Tony Moly sheet masks on Amazon and ration them like a troll. Fun fact: Urban Outfitters has also started selling a lot of legit Korean sheet masks. 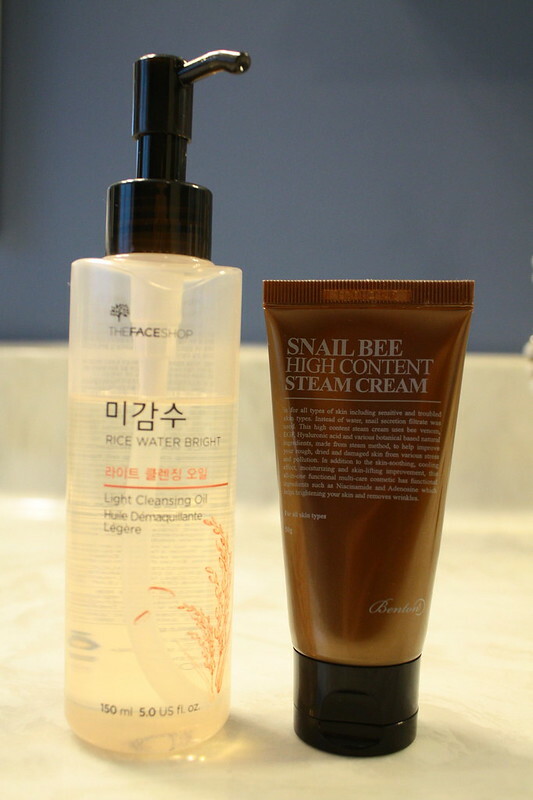 Up next to try: Missha snail repair ampoule and the cult classic Beauty Water. If you’re curious about more of the Korean beauty revolution, the blog The Klog is an excellent source for product reviews and information. *My friend Wei is to blame for this obsession. I think. In any event, we are acolytes in the Church of Collagen and Sheet Masks for Life. Disclaimer: I was not asked to write any of these things. I write about beauty products out of the goodness of my vain and snail-mucin-loving heart. Sidebar: Because I feel like I have to say this to people all the time now: Your beauty products are not killing you. Just remember, ladies: The word “natural” on a bottle doesn’t mean anything. It is not regulated by government agencies. “Organic” does not mean it’s safe for your skin. Companies can call just about anything “natural,” and many are gung-ho on misleading labeling (like saying conditioner is “sulfate free,” when conditioners never contain sulfates in the first place). Don’t get suckered by the “green” beauty craze without doing some research first. As the author of that post says, “beauty is a business; it’s not a philanthropy.” So-called “natural” cosmetic companies want to sell you their wares just as much as NARS does. How about you? Using anything fun on your face lately? I too have fallen down this rabbit hole! lol I’m obsessed with Tony Moly and need to get that belif eye cream! !